Dr. Becker will be appearing on Animal Talk Radio discussing three very important things your veterinarian might not tell you about that new pet you got for Christmas. Animal Talk Radio is available online and on AM and FM radio stations. Visit their website for more ways to listen! Dr. Becker will be talking about Fear Free practice at the NAVC Veterinary Conference in Orlando, Fla., Jan. 16-20, 2016. Dr. Becker will be appearing on Animal Talk Radio discussing three pet threats you worry too much about and three you don't worry enough about. Animal Talk Radio is available online and on AM and FM radio stations. Visit their website for more ways to listen! Dr. Becker will be speaking about Fear Free veterinary practice at the Music City Veterinary Conference in Murfreesboro, Tennessee. Doctor Becker will be training the staff of various Boise area practices on Fear Free practice and will attend a fundraiser for Helping Hands Fund. His sponsor is Dr. Bob Beede of Intermountain Veterinary Hospital. Dr. Becker will be speaking about Fear Free veterinary practice and Treating Every Client Like #1 at the Western Veterinary Conference in Las Vegas, NV. Dr. Becker will be talking about Fear Free practice at the CVC continuing education conference in Virginia Beach, VA. He will be presenting: Fear Free practice - With it you'll thrive. Without it, you may not survive. Apples & Oranges - Significant differences between Fear Free and "fearful" practices. The Top 10 Ways To Get Started With Fear Free. Dr. Becker will be appearing at the Pet Professional Guild Summit in Tampa, Florida. Dr. Becker will present Fear Free talks sponsored by Boehringer Ingelheim for veterinary practices in Arizona, Colorado, and Kansas. Dr. Becker will be on Animal Talk Radio telling you about the top three things you can do to calm pet allergies. Animal Talk Radio is available online and on AM and FM radio stations. Visit their website for more ways to listen! Dr. Becker will be on Animal Talk Radio discussing three new drugs launched this year that could dramatically help your pets. Animal Talk Radio is available online and on AM and FM radio stations. Visit their website for more ways to listen! Dr. Becker will be speaking about Fear Free veterinary practice and Treating Every Client Like #1 at the Chicago VMA in Chicago, Illinois. 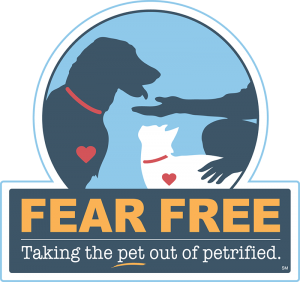 Fear Free 101: How the entire veterinary hospital team can embrace and achieve "taking the pet out of petrified...and putting them back in your practice!" Seminar will feature Dr. Marty Becker, boarded veterinary behaviorist, Lisa Radosta and behavior technician, Debbie Martin. A ContinuEd Production. Dr. Becker will be speaking at the Idaho Veterinary Medical Association Annual Symposium in Pocatello, Idaho. On Friday, June 10, 2016, he will be speaking about Fear Free veterinary practice. On Saturday, June 11, 2016, he will be speaking about One Health and how animal health, human health, and environmental health are inextricably linked. Dr. Becker will be on Animal Talk Radio updating you on the latest treatments for heat stroke. Animal Talk Radio is available online and on AM and FM radio stations. Visit their website for more ways to listen! Dr. Becker will be giving the keynote presentation on how Fear Free can be used in a shelter setting at the Society of Animal Welfare Administration Management Conference in Detroit, Michigan. Dr. Becker will be talking about Fear Free practice at the Cat Writer's Association and BlogPaws 2016 Conference in Chandler, AZ. Dr. Becker will be speaking about Fear Free veterinary practice at the Southern Veterinary Conference in Birmingham, Alabama. Dr. Becker will be talking about Fear Free practice at the 2016 American Veterinary Medical Association Convention in San. Antonio, Texas. Dr. Becker will be speaking about fear free practice at the North Dakota Veterinary Medical Association Annual Meeting. Dr. Becker will be giving the keynote address at the 40th Anniversary of the Christian Veterinary Mission meeting in Kansas City, Missouri. 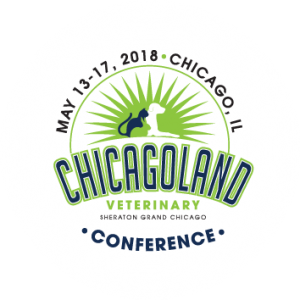 Dr. Becker will be speaking at the Christian Veterinary Mission conference, Shortcourse, about prayer in practice, the human animal bond, and Fear Free veterinary practice. Dr. Becker will be talking about Fear Free practice at the Pet Sitter World Educational Conference & Expo in San Diego, California. Dr. Becker will be speaking at the WSAVA Conference in Cartagena, Colombia. Dr. Becker's presentations are "Less Stress, More Visits: How Creating Fear Free Veterinary Visits Can Lead to A Dramatic Increase in Pet Owner Visits & Income" and "Exam Room Secrets Revealed." Dr. Becker will be speaking to the Central New York Veterinary Medical Society in Syracuse, NY on Fear Free veterinary practice and exam room secrets revealed. Dr. Becker will be speaking at the Québec Veterinary Congress 2016, presented by L'Ordre des médecins vétérinaires du Québec. Dr. Becker will be speaking about Fear Free veterinary practice at the Atlantic Coast Veterinary Conference in Atlantic City, NJ, on Oct. 20, 2016. More info at www.acvc.org. MNVPMN meeting in Bloomington, Minn.
Dr. Becker will be speaking about Fear Free practice at the Minnesota Veterinary Practice Managers Network meeting in Bloomington, Minn., on Oct. 28, with a "Meet and Greet" the evening before. Oklahoma Joe’s BBQ, 6175 E 61st St.
Dr. Becker will be presenting a day-long series on Fear Free veterinary practice on Sunday, Dec. 4, in Tulsa, Okla. Registration will open at 12:15 PM, and the presentation will run from 1-4 PM. Three hours of state CE will be given. The event is open to all veterinary team members. Please RSVP to Courtney Kennedy at 918-550-0451. Space is limited. This event is sponsored by Virbac and Henry Schein Animal Health. Dr. Becker will be speaking on Fear-Free veterinary practice at CVC San Diego, California, Dec. 8-11, 2016. He will be presenting: Fear Free practice - With it you'll thrive. Without it, you may not survive. Apples & Oranges - Significant differences between Fear Free and "fearful" practices. The Top 10 Ways To Get Started With Fear Free. Dr. Becker will present "Fear Free 101" and "Exam Room Secrets Revealed" for the Cleveland Academy of Veterinary Medicine in Cleveland, Ohio. Dr. Becker will be speaking on a variety of topics at the 2017 North American Veterinary Community Conference in Orlando, Florida. Dr. Becker will be speaking on Fear Free at this conference at the University of Florida. Dr. Becker will be presenting at WVC, including a session on "Using sedation without hesitation in a Fear FreeSM practice" as one of Zoetis' "Patients, Procedures and Protocols: The Experts’ Perspectives" symposia on Wednesday, March 8. Dr. Becker will be hosting a content-packed Fear Free symposium. 6 hours of RACE approved CE delivered by Fear Free experts Lisa Radosta, DVM, DACVB, Debbie Martin, LVT, CPDT-KA, KPA CTP, VTS (Behavior), Jonathan Bloom, DVM and Steve Dale, CABC. Learn more. Dr. Becker will be speaking on Fear Free at Global Pet Expo in Orlando, Fla.
Dr. Becker will be hosting a content-packed Fear Free symposium. 6 hours of RACE approved CE delivered by Fear Free experts Gary Landsberg, DVM, DACVB, DECAWBM, Debbie Martin, LVT, CPDT-KA, KPA CTP, VTS (Behavior), Kathryn Primm, DVM and Steve Dale, CABC. Learn more. Dr. Becker will be hosting a content-packed Fear Free symposium. 6 hours of RACE approved CE delivered by Fear Free experts Gary Landsberg, DVM, DACVB, DECAWBM, Debbie Martin, LVT, CPDT-KA, KPA CTP, VTS (Behavior), Natalie Marks, DVM and Louise Dunn. Learn more. Dr. Becker will be presenting a full day of new and exclusive Fear FreeSM sessions at all three CVC locations in 2017. Dr. Becker will be hosting a content-packed Fear Free symposium. 6 hours of RACE approved CE delivered by Fear Free experts Lisa Radosta, DVM, DACVB, Debbie Martin, LVT, CPDT-KA, KPA CTP, VTS (Behavior), Natalie Marks, DVM and Fritz Wood, CPA. Learn more. Dr. Becker will be attending this meeting in Grand Rapids, Mich.
Dr. Becker will appear at the Parade of Paws, a a fun-packed 2 or 4 mile walk and day of fun that helps ensure that the unwanted and abandoned animals at the Spokane Humane Society will have a safe, secure and sanitary place to stay with food, water, and veterinary care. Dr. Becker will be speaking on behalf of the American Association of Human Animal Bond Veterinarians on the topic of burnout at the 2017 AVMA Conference in Indianapolis, Indiana, July 21-25, 2017. Dr. Becker will be the keynote speaker, presenting on "The Power of Love" during luncheon as well as on "Transforming Veterinary Practice, Shelter Medicine, and Animal Services with Fear Free Care." Learn more. Dr. Becker will be hosting a content-packed Fear Free symposium. 6 hours of RACE approved CE delivered by Fear Free experts Gary Landsberg, DVM, DACVB, DECAWBM, Debbie Martin, LVT, CPDT-KA, KPA CTP, VTS (Behavior), John Talmadge, DVM and Fritz Wood, CPA. Learn more. Dr. Becker will be moderating a panel discussion on pet food ingredients at Purina headquarters in St. Louis, Missouri. Dr. Becker will be speaking on Fear Free at this event. Find more information here. Dr. Becker will be hosting a content-packed Fear Free symposium. 6 hours of RACE approved CE delivered by Fear Free experts Gary Landsberg, DVM, DACVB, DECAWBM, Debbie Martin, LVT, CPDT-KA, KPA CTP, VTS (Behavior), Natalie Marks, DVM and Steve Dale, CABC. Learn more. Fear Free will be at the 2018 VMX with a booth and two days of Fear Free content by Dr. Marty Becker, DVM, Kenichiro Yagi, MS, RVT, VTS, Louise S. Dunn, Fritz Wood, Dr. Jonathan Bloom, DVM, Steve Dale, Temple Grandin, Dr. Ralph C. Harvey, DVM, MS, DACVA, UTCVM, Dr. Jan Bellows, DVM, Dr. Kendal Harr, DVM. Find more information here. Dr. Marty Becker will deliver a keynote speech and present two special awards to the top writers. Find more information here. Dr. Becker will be hosting a content-packed Fear Free symposium with NAVTA. 7 hours of RACE approved CE delivered by Fear Free experts Monique Feyrecilde, LVT, VTS (Behavior), Dr. Jonathan Bloom, DVM, Heidi Reuss-Lamky, LVT, VTS (anesthesia & analgesia) and Dr. Julie Reck, DVM. Dr. Becker will be hosting a content-packed Fear Free symposium with NAVTA. 7 hours of RACE approved CE delivered by Fear Free experts Monique Feyrecilde, LVT, VTS (Behavior), Dr. Jonathan Bloom, DVM, Dr. Natalie Marks, DVM, and Joanne Graham, CVPM, SHRM-CP, CCFP. 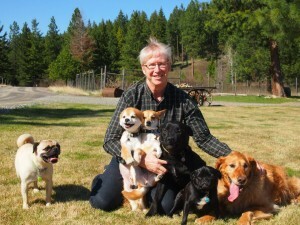 Dr. Becker will be presenting at the WSU College of Veterinary Medicine Spring Conference in Pullman, Wash. If you have any questions about the Spring Conference, contact the CVME Office at 509-335-1198 or CVME@vetmed.wsu.edu. Fear Free will have a full day track on Friday, April 19. Find more information here. Dr. Becker will be hosting a content-packed Fear Free symposium with NAVTA. 7 hours of RACE approved CE delivered by Fear Free experts Debbie Martin, LVT, CPDT-KA, KPA CTP, VTS (Behavior), Dr. Kathryn Primm, DVM, Tasha McNerney, BS, CVT, CVPP, VTS (anesthesia and analgesia) and Dr. Julie Reck, DVM. Dr. Becker will be speaking at this event. Find more information here. Fear Free will be at Fetch (formerly the CVC) in our booth as well as our sponsorship of multiple tracks. Please check back for more details, and find more information here. Dr. Becker will be hosting a content-packed Fear Free symposium with NAVTA. 7 hours of RACE approved CE delivered by Fear Free experts Debbie Martin, LVT, CPDT-KA, KPA CTP, VTS (Behavior), Dr. Jonathan Bloom, DVM, Tasha McNerney, BS, CVT, CVPP, VTS (anesthesia and analgesia) and Joanne Graham, CVPM, SHRM-CP, CCFP. Dr. Becker will be hosting a content-packed Fear Free symposium with NAVTA. 7 hours of RACE approved CE delivered by Fear Free experts Debbie Martin, LVT, CPDT-KA, KPA CTP, VTS (Behavior), Dr. Natalie Marks, DVM, Tasha McNerney, BS, CVT, CVPP, VTS (anesthesia and analgesia) and Joanne Graham, CVPM, SHRM-CP, CCFP. Dr. Marty Becker will be speaking at this event. Find more information here. 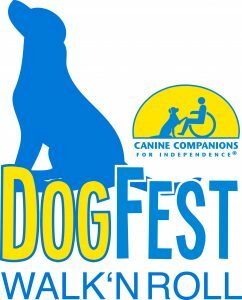 Dr. Becker and Fear Free will be at Fetch in our booth as well as our sponsorship of multiple tracks. Find more information here. Dr. Becker will be presenting CE at the Veterinary Alliance in Toronto, Canada, Sept. 17-18, 2018. For information, email Kim Irvine at Kim@vetalliance.ca. Dr. Becker will be speaking at the first conference of its kind in Canada, focused purely on the business of veterinary medicine, on Sept. 17-18, 2018, at the Le Centre Sheraton Montreal Hotel. More information. Applebrook Veterinary Hospital open house in Chattanooga, Tenn.
Dr. Becker will be appearing at the Applebrook Veterinary Hospital open house in Chattanooga, Tenn. The hospital has just been redesigned to fully embrace Fear Free principles to veterinary care, and is owned by the first Fear Free Certified veterinarian, Dr. Kathryn Primm. Dr. Becker will be presenting the keynote address at the Michigan Pet Fund Alliance's "Getting to the Goal" Conference, held in conjuction with Best Friends Animal Society's Midwestern Leadership Summit in Kalamazoo, Michigan, Sept. 27-28, 2018. He will be leading off a two-day Fear Free track looking at the emotional well-being of pets in animal shelters and introducing the new course and certification program for animal shelter workers and volunteers. More information. 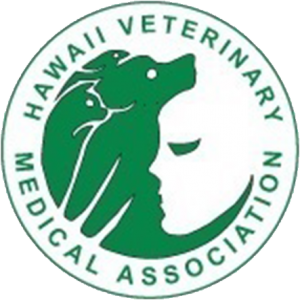 Dr. Becker will be presenting three hours of CE on Fear Free for veteriarians and three hours for veterinary technicians at the 65th Annual Hawaii Veterinary Medical Association Meeting Nov. 8-11, 2018. For more information, visit http://hawaiivetmed.org/2018conference/. Dr. Becker will be hosting a content-packed Fear Free symposium with NAVTA. 7 hours of RACE approved CE delivered by Fear Free experts Monique Feyrecilde, LVT, VTS (Behavior), Dr. Jonathan Bloom, DVM, Heidi Reuss-Lamky, LVT, VTS (anesthesia & analgesia) and Joanne Graham, CVPM, SHRM-CP, CCFP. Vet + Pet West in San Diego, Calif.
Dr. Becker will be presenting at the Vet + Pet West event in San Diego, Calif., Dec. 13-16, 2018. For more information. Dr. Becker will be speaking at this conference. Get more information here. Western Veterinary Conference in Las Vegas, Nev. 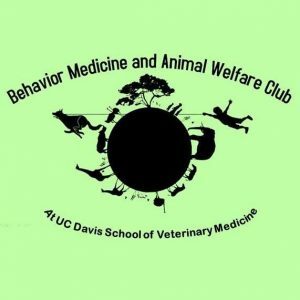 Behavior Medicine and Animal Welfare Club at UC Davis SVM, in Davis, Calif.
Dr. Becker will be presenting to the Behavior Medicine and Animal Welfare Club at UC Davis School of Veterinary Medicine, sponsored by the VBMA. His topic will be Fear Free. 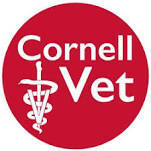 Cornell University College of Veterinary Medicine in Ithaca, N.Y.
Dr. Steve Ettinger and Dr. Becker are giving a series of talks at the Cornell University College of Veterinary Medicine. Global Pet Expo 2019 in Orlando, Fla.
Dr. Becker will be at Global Pet Expo in Orlando, the world’s largest pet industry trade show, to scout out products that reduce fear, anxiety, and stress in pets or increase enrichment. Fear Free also has its annual awards ceremony center stage in the exhibit hall at 10 a.m. on Friday, March 22. Louisiana State University School of Veterinary Medicine in Baton Rouge, La. 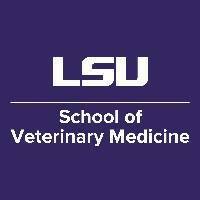 Dr. Becker will be doing Dean’s Grand Rounds at the Louisiana State University School of Veterinary Medicine. Northwest Pet Expo in Spokane, Wash.
Dr. Becker will give a keynote/center stage talk from 1-1:30 p.m. and will be at the VCA booth until 4 p.m. Teresa Becker will be there as well, doing pet massage. Dr. Gary Landsberg and Dr. Becker will be giving lectures for students and faculty, and presenting at an evening event open to area veterinary healthcare professionals. or more details contact Jackie Bahnmann Jackie.bahnmann@usask.ca. Animal Care Expo in New Orleans, La. 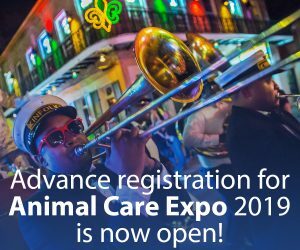 Dr. Becker will be joining Virox Animal Health at Animal Care Expo in New Orleans, the largest animal sheltering conference in the world.